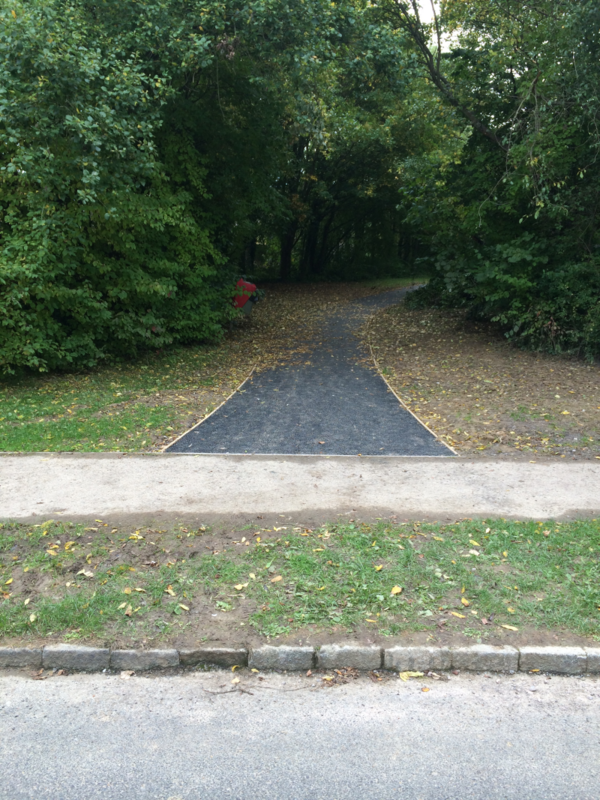 This path which has been championed by Councillor Andrew Baldwin and links Dutchells Copse to the Riverside Walk has now been built. Although only 2m wide (it should have been a minimum of 3m to meet guidance) the path has been transformed and is now easy to ride, even uphill. We welcome the new shared use path and are pleased that, following our suggestion, HDC is now liaising with WSCC to add the dropped kerbs and signage as per the original plan.